I want to thank the Stamford Boys & Girls Club for honoring me with the Community Champion award at their Champions of Youth Breakfast. 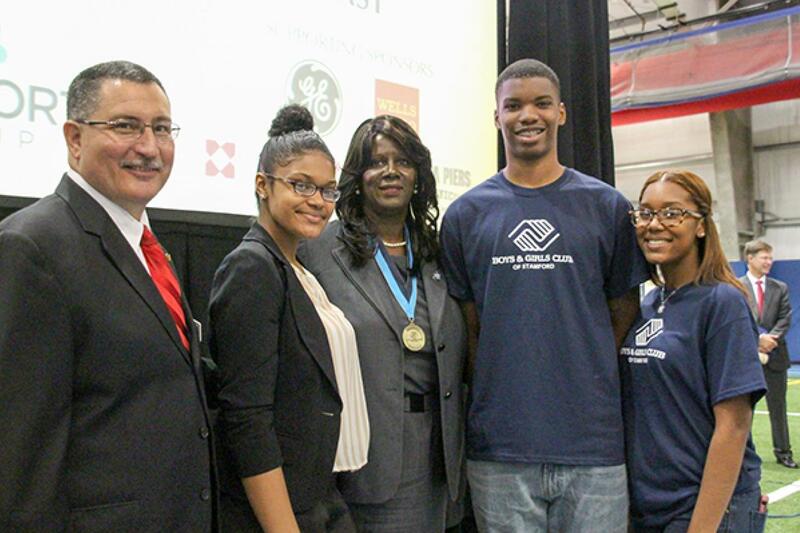 I have always supported the mission of the Boys & Girls Club because of the way they have been able to touch the lives of Stamford’s youth by creating doors of opportunity to help them to succeed academically. This club provides an invaluable service to the City of Stamford and I am so grateful for the work that they do. For the past three years I have worked to provide special funding to the Stamford Boys & Girls Club for additional programming. In 2014, I helped the Stamford Boys & Girls Club to secure $1.5 million in state funding to expand their facility to include a new program space, recreational facilities, and a gymnasium.